By accessing these Sustainability Outlook ™ world wide web internet pages (the “Site”), you agree to the following terms, and your viewing of and any use of the information is subject thereto. The information, articles and contents on Sustainability Outlook site, a project funded by cKinetics, are available under a Creative Commons Attribution 3.0 License as long as guidelines mandated under Creative Commons Attribution 3.0 License and can be re-used freely, with the exception of content that has been attributed to third parties by linking to their sites. In such cases, the legal terms and copyright conditions as mandated by such third parties will prevail. Any rights not expressly granted herein are reserved. For your easy accessibility, Sustainability Outlook may include links to sites on the Internet that are owned or operated by third parties. By linking to any such third-party site, you accept and agree that Sustainability Outlook has no control over the content of that site and cannot assume any responsibility for material created or published by such third-party sites. In addition, a link to a non- Sustainability Outlook site does not imply that Sustainability Outlook endorses the site or the products or services referenced in such third-party site. Such a third-party site may have its own legal terms and conditions, and your linking to such site shall require your compliance with those terms and conditions. This site and the contents herein are provided as a convenience to you. The contents of these pages are provided on an "as is" or "as available" basis. Sustainability Outlook does not warrant that these pages will be uninterrupted or error-free. Sustainability Outlook may, without notice, change, modify or withdraw access to this Site, or the content of these pages, at any time. The materials presented here are summary in nature, subject to change, and intended for general information only. NO WARRANTY OF ANY KIND, EITHER EXPRESS OR IMPLIED, INCLUDING BUT NOT LIMITED TO ANY WARRANTY OF TITLE OR NON-INFRINGEMENT OR IMPLIED WARRANTIES OF MERCHANTABILITY OR FITNESS FOR A PARTICULAR PURPOSE, IS MADE IN RELATION TO THE AVAILABILITY, ACCURACY, RELIABILITY OR CONTENT OF THESE PAGES. 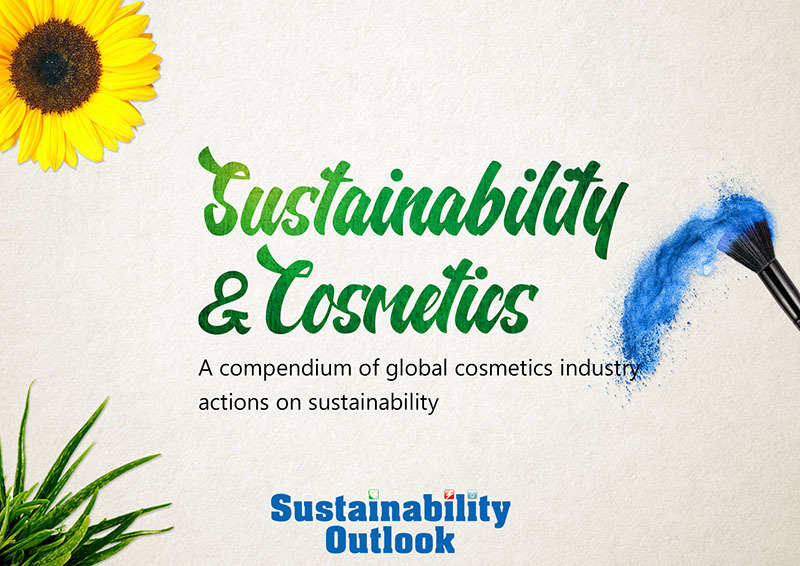 SUSTAINABILITY OUTLOOK SHALL NOT BE LIABLE FOR ANY DIRECT, INDIRECT, INCIDENTAL, SPECIAL OR CONSEQUENTIAL DAMAGES, LOST PROFITS OR BUSINESS INTERRUPTION ARISING OUT OF THE USE OF OR INABILITY TO USE THIS THESE PAGES, EVEN IF SUSTAINABILITY OUTLOOK HAS BEEN ADVISED OF THE POSSIBILITY OF SUCH DAMAGES. SOME JURISDICTIONS DO NOT ALLOW EXCLUSION OF CERTAIN WARRANTIES OR LIMITATIONS OF LIABILITY, SO THE ABOVE LIMITATIONS OR EXCLUSIONS MAY NOT APPLY TO YOU. THE LIABILITY OF SUSTAINABILITY OUTLOOK WOULD IN SUCH CASE BE LIMITED TO THE GREATEST EXTENT PERMITTED BY LAW. Access to and use of password protected and/or secure areas of this Site is restricted to authorized users only. Unauthorized individuals attempting to access these areas of the Site may be subject to prosecution. The contents of the password-protected Sustainability Outlook pages may contain valuable trade secrets of, Sustainability Outlook and/or its Representatives. Such Information, and all copies of such, is provided to you on this Site in confidence by Sustainability Outlook in accordance with the legal terms set out herein, and may be used only for the purpose provided. By submitting material to any of our servers, for example, by email or via these pages, you agree that: (a) the material will not contain any item that is unlawful or otherwise unfit for publication; (b) you will use reasonable efforts to scan and remove any viruses or other contaminating or destructive features before submitting any material; (c) you own the material or have the right to provide it to Sustainability Outlook and Sustainability Outlook may publish the material free of charge and/or incorporate it or any concepts described in it in Sustainability Outlook’s products or services without accountability or liability; and (d) you agree not to take action against Sustainability Outlook in relation to material that you submit and you agree to indemnify Carbon Outlook if any third party takes action against Sustainability Outlook, or its parent corporation or any subsidiaries thereof in relation to the material you submit. Please be aware that Sustainability Outlook, Sustainability Outlook and cKinetics are trademarks of cKinetics, its parent, or subsidiaries thereof. Other product and company names mentioned herein may be trademarks and/or registered trademarks of their respective owners. Your access to this site is not to be construed as granting, by implication, estoppel or otherwise, any license or right to use any marks appearing on the site without the prior written consent of Sustainability Outlook or the third party owner thereof. All contributors to Sustainability Outlook are required to grant broad permissions to the general public to re-distribute and re-use their contributions freely, as long as the use is attributed and the same freedom to re-use and re-distribute applies to any derivative works. Therefore, for any text you hold the copyright to, by submitting it, you agree to license it under the Creative Commons Attribution/Share-Alike License 3.0 (Unported). For compatibility reasons, you are also required to license it under the GNU Free Documentation License (unversioned, with no invariant sections, front-cover texts, or back-cover texts). Re-users can choose the license(s) they wish to comply with. Please note that these licenses do allow commercial uses of your contributions, as long as such uses are compliant with the terms. As part of your contribution, if you have used text that you have found elsewhere or that you have co-authored with others, you can only do so if it is available under terms that are compatible with the Creative Commons-by-nc license. If you import text under a compatible license which requires attribution, you must, in a reasonable fashion, credit the author(s). Regardless of the license, the text you import may be rejected if the required attribution is deemed too intrusive.